The year is 1974 and the United States is in turmoil. The Watergate investigation rages on, there are bombings by the Weatherman, planes are being hijacked, Patty Hearst has been kidnapped and robs a bank, and the truth about the Vietnam War keeps emerging. It is in this background that Ernt Allbright returns to his family, having spent six years in a POW camp after being shot down over North Vietnam and forced to watch the death of his fellow soldier and good friend Bo Harlan. Allbright shows all the signs of post-traumatic stress disorder with repeated nightmares, temper tantrums, and the inability to concentrate. The family made up of Cora, his wife, and Eleni his fourteen year old daughter must endure his unpredictable moods and behavior that can be violent and can be affected by the time of year and weather. The family is extremely dysfunctional as they pick up and constantly move based on Ernst’s needs. The Allbright family forms the core of Kristin Hannah’s new novel, THE GREAT ALONE, a story that on one level is quite disturbing, and at another, very heartwarming. 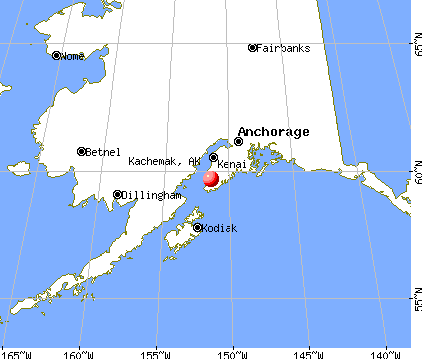 After repeated failures Ernt picks up his family and moves to the Kachemak Bay area of Alaska, across the water from Homer. The title of the book describes the wilderness region they have settled in as Bo had willed Ernt a small homestead. Ernt believes that this is the opportunity of a life time to finally quell his daemons and move away from what he perceives to be the ills of the larger society. It is here that Hannah introduces a number of fascinating characters. Mad Earl the head of the Harlan family, Large Marge Birdsall, a former Washington, DC prosecutor, Tom Walker, whose father helped settle the town of Kaneq, and his son Matthew, in addition to others. There are a number of themes that permeate the novel. First, is the Allbright family itself as Leni realizes the that her parents’ marriage is not normal as her mother continuously enables her father’s dream that over the next horizon he will be able to provide for his family and be happy. The problem is that Ernt cannot seem to control himself as his wife and daughter become victims of his past, and have to constantly walk on egg shells around him. Second, the stunning beauty of Alaska, but with that beauty comes a darkness that only the wilderness offers. Despite being seen as a panacea for so many, escaping to Alaska becomes a parable of survival. Third, the bonding of people who share the same battles with nature each day. Even though people are drawn together they carry significant world views that are affected by the life they lived before, and now the life they live in Alaska. Fourth, the issue that is splitting the community – whether to allow development or remain as a sanctuary for people who are escaping the larger society. Lastly and most important, the haunting nature of people’s past and the unknown future that can unfold. 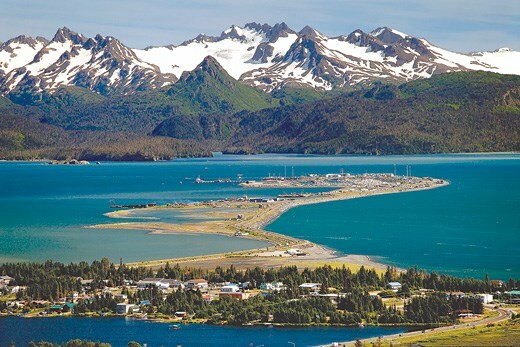 By 1978 the community is split between Tom Wallace, who wants to attract visitors as Alaska becomes more and more a tourist destination, and Ernt Allbright, who wants to retain his escapist reality. There are number of other issues that separate these men and the attempted resolution of their disagreements dominates a significant segment of the novel. Another important relationship that develops is between Matthew and Eleni, who seem to mature together and develop a platonic relationship that evolves into something more. No matter what twists and turns the story takes, Alaska with all its beauty and wickedness dominates. For Hannah, the novel draws on her own families experience living in the Alaskan frontier as in the 1980s, her parents co-founded what is now the Great Alaska Adventure Lodge which still is operating in Sterling, Alaska. Hannah has written 20 novels, but it took THE NIGHTINGALE, a story of two sisters caught up in the French Resistance during World War II, published in 2015 to put her on the map. Obviously, THE GREAT ALONE bears no resemblance to her previous effort, but it appears to be just as popular. The book is written in a style geared toward young adults with Eleni as the narrator, and suffers from a sort of “bumper sticker” phrasing in some of the dialogue. But, in the end it is fast paced, concisely written in a dramatic style, and keeps the reader hoping that it will end happily, but with a constant feeling of dread.